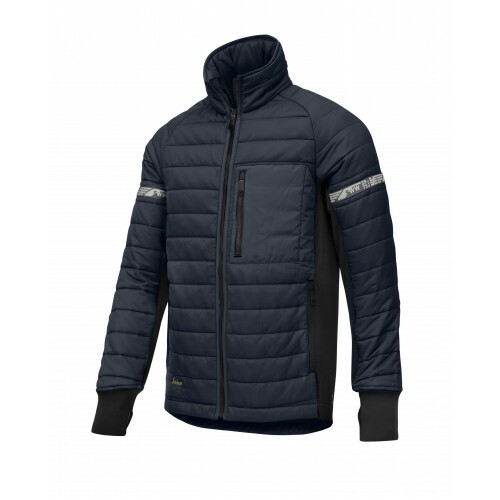 Snickers Clothing have designed a jacket that is quilted jacket is padded with 37.5® insulation for warmth and climate control. It can be used on its own thanks to water repellant outside or be worn as mid layer under a waterproof shell jacket. The long arm cuffs have thumb grip for warm comfort and the high collar offers extra wind protection.